It has come to my attention lately that more and more folks are having Knee Surgery or getting Knee Replacements. Some of these surgeries or replacement are successful and some aren’t. In this short blog I just want to share some information I found about this subject. Concerning knee replacement surgery, it is important you know that there can also be failure of the artificial joint…because even with the strongest metal and plastic parts, they eventually wear out with daily use. You also need to be aware of the types of activities you take part in, because the risk is higher if you stress the joint with high impact exercises and excessive weight. 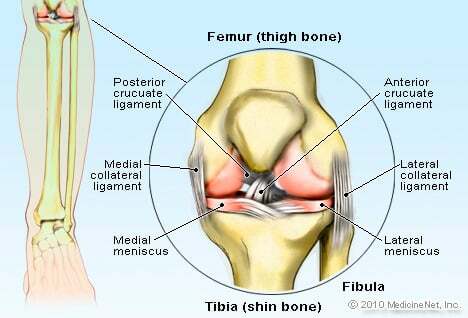 Osteoarthritis lowers the normal concentration of hyaluronic acid in the joints. My advice, be sure you do your research before you consider any type of knee surgery. Be sure the facility and/or doctors are highly qualified and specialize in this kind of management and treatment. You want the results of this kind of surgery to be pain-free, so medication is zero or minimal. HAVE A GREAT DAY! and GOD BLESS! The information and/or statements in this Blog are not intended to diagnose, treat, cure or prevent any disease, and are not implied to be a substitute for professional medical advise. All content including text, graphics, images and information given through this blog is for general information purposes only. I encourage you to confirm any information obtained through Blog with other sources. Review any and all information regarding any medical condition or treatment as it may pertain to you with your physician. TIPS on DRUGS & CHEMICALS and how they affect the human body. This will be a long tip list, so I will list only one or two, each time I blog. They will be listed in alphabetical order. ARSENIC: Gets into the body through the saliva, by way of accidental poisoning from garden sprays, Fowler’s Solution, Dyes, Cosmetics, etc. It settles in the Circulatory Organs, is eliminated through the Lymph system, Kidneys, Bowels, Skin, Mucous membranes. It appears as a drug in the eyes as tiny white dots occurring singly or in groups in the Lymph System of the iris (an Iridology Reading will show this). Pharmaceutically it is used for Heart Stimulation, Gastric Disorders, and with sulphur internally to suppress skin eruptions. It is poisonous to the system. Symptoms include abdonimal cramps, general edema, boils, emaciation, skin eruptions, weakness, falling hair, and nails, and, irritability. I am not an advocate for eating meat, but if you must eat meat, especially the red meats, you need to know that recent research is now showing that processed meat is linked to breast cancer, independent of other factors such as lifestyle, obesity, diet and sociodemographics. (Institute of Health and Wellbeing). Processed meat is any meat which is modified to extend shelf life, change the color and appearance and/or improve taste. One carcinogen in processed meat that is concerning is sodium nitrite, which is a preservative. You can take supplements to help neutralize this and other mutagens, but it is better to avoid them. You are never going to get away from this and/or other preservatives in all products. It is a government thing. So, again AVOID THEM! The latest news is that Tinnitus (a ringing in the ears) is not an ear problem, but is a brain malfunction issue. Again, eating healthy healthier can help to alleviate it. VACCINATIONS – before getting vaccinated, check out Vaccines without toxins. Vaccines without toxins and often vegan-friendly, do exist. If planning on traveling abroad vaccines may be required. The worry I have is the toxins such as ethylmercury (thimerosal), egg protein, gelatin, phenoxyethanol and formaldehyde which are chemicals I would prefer not to be injected into my body. For information on vaccines, contact a good travel consultant. If you can’t find the info you want feel free to call Passport Health of Sarasota at 941-362-0304 in Sarasota, FL. The vaccine options are out there. Forget not to be patient with yourself! Forget not the difference between good and foolish sacrifices! Forget not to be HAPPY NOW! Forget not the why of the gospel. Forget not that the LORD loves you! FYI-HEALTH TALK Blog at WordPress.com.